Where can you take home a LEGO model for free? Visit the LEGO stores every weekend to build a model of your own, and it's yours! Available slots are at 12pm, 2pm, 4pm & 6pm. New mini-builds await you each month. 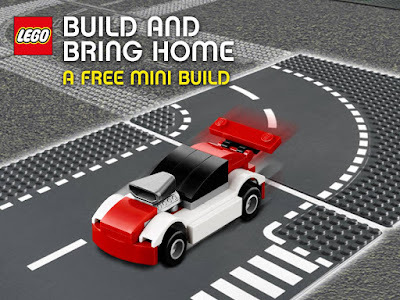 The Monthly Mini Build is open to children aged 5-12 daily. Available in all LEGO® Certified Stores. Models are not for sale and cannot be purchased. Limited to 15 children per session. Register for participation 15 minutes before session start.